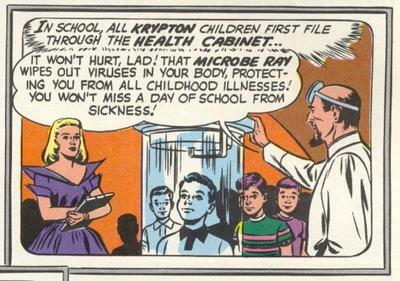 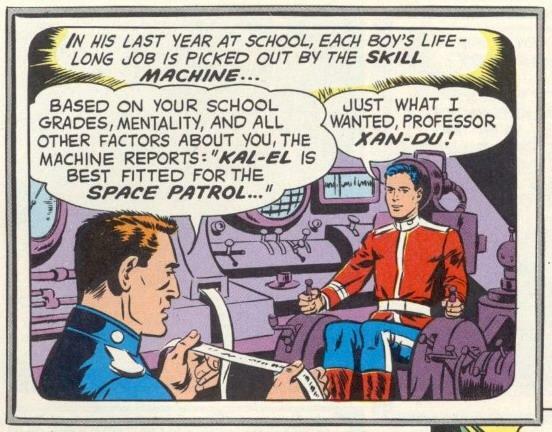 Well, you know it's kind of the scientific way of doing things--figure out what the aptitudes of the various students are and point them towards a career. 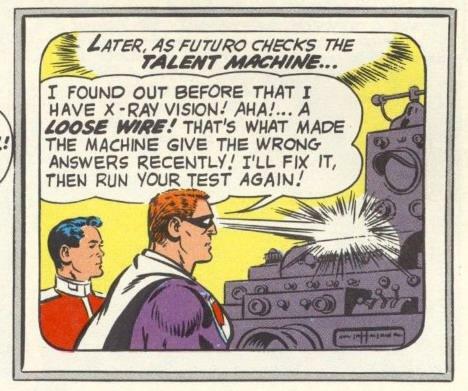 Except for the obvious problem--what if the computer screws up? 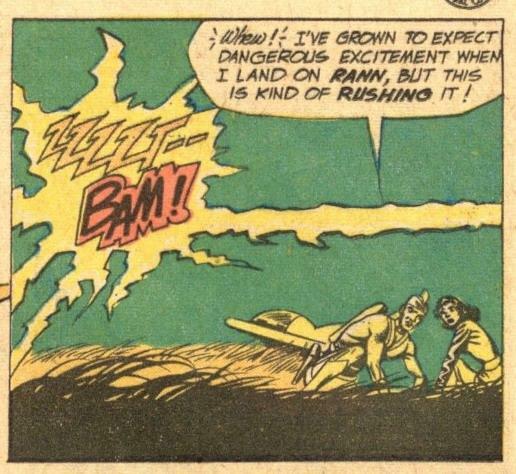 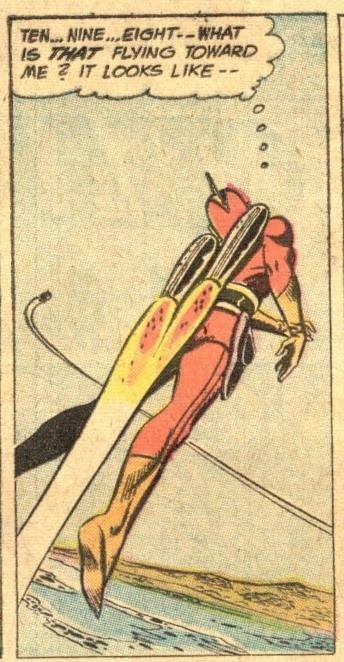 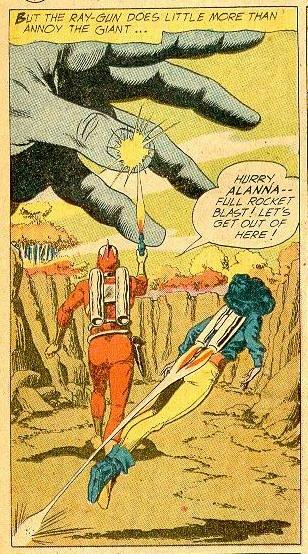 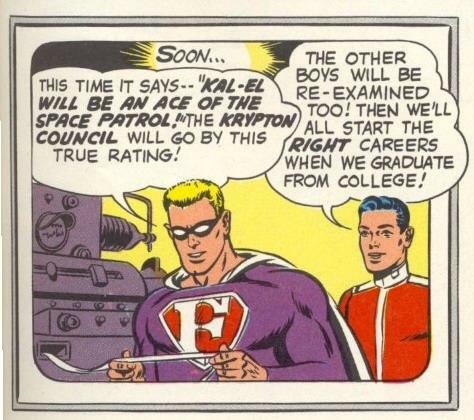 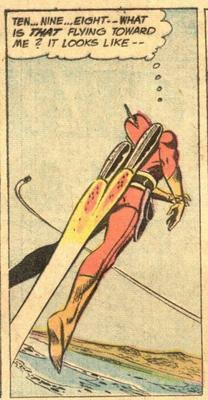 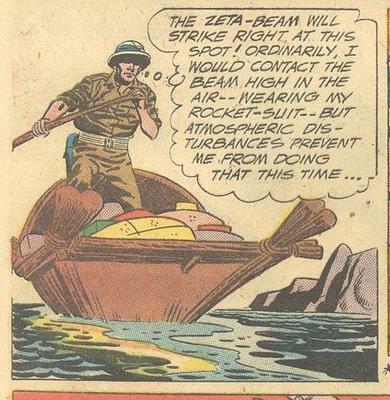 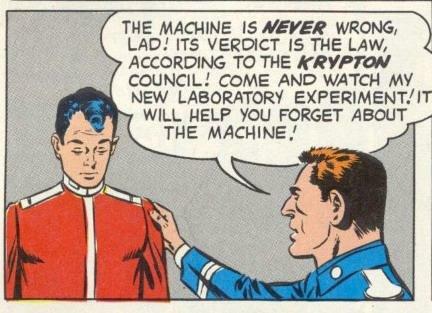 DC introduced Adam Strange in Showcase #17, (Nov-Dec 1958). 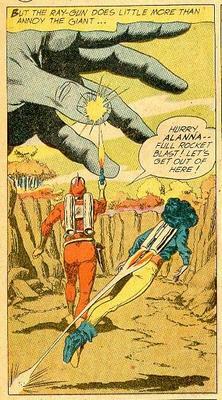 He was an archaeologist, who, in an attempt to escape bloodthirsty natives, jumped a 20-foot chasm and suddenly found himself trasported across millions of light years of space to Rann, an alien world remarkably populated by humans, including the lovely Alanna and her scientist father Sardath. 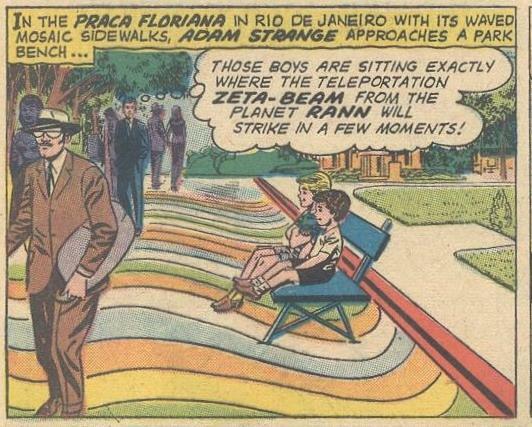 It turned out that Adam had been picked up by chance by the zeta beam, a ray that Sardath had been sending towards Earth periodically. 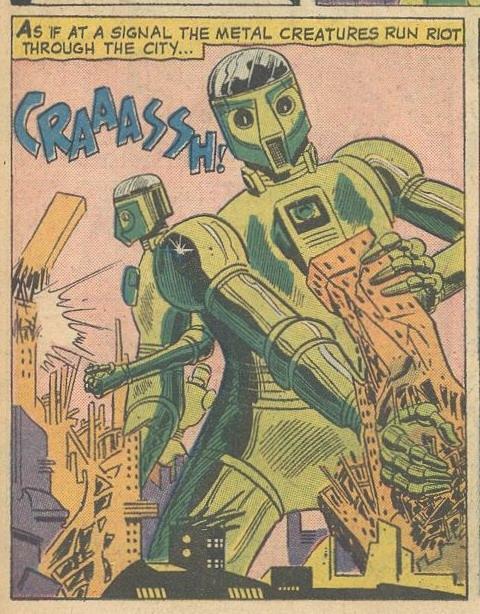 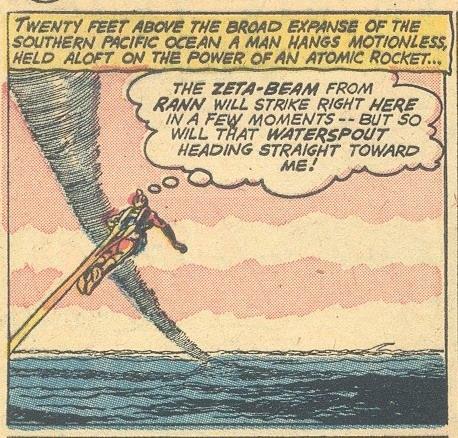 He arrived on Rann just in time to save it from some disaster or other, and after a few weeks the zeta beam would wear off, sending him back to earth. 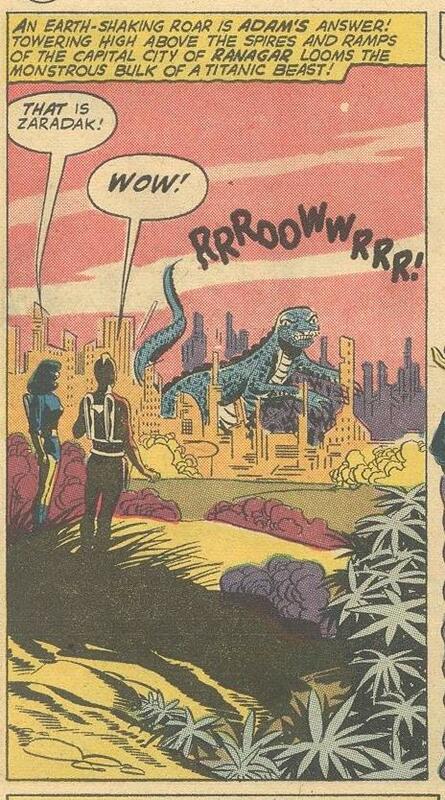 Fortunately, he always seemed to know the locations where the next few zeta beams would hit. Indeed it was this latter cliche that led to one of the major problems with the series. 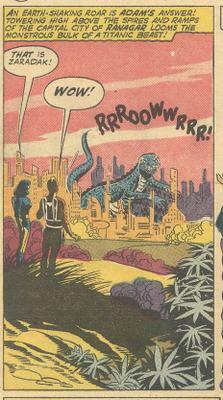 More on that in a later post.